Who doesn't, right? But really, I love it. I'm a huge fan of spooky, although I don't really get into gore. Since kiddo has gotten older, we have a ball with Halloween, especially pumpkins and costumes. 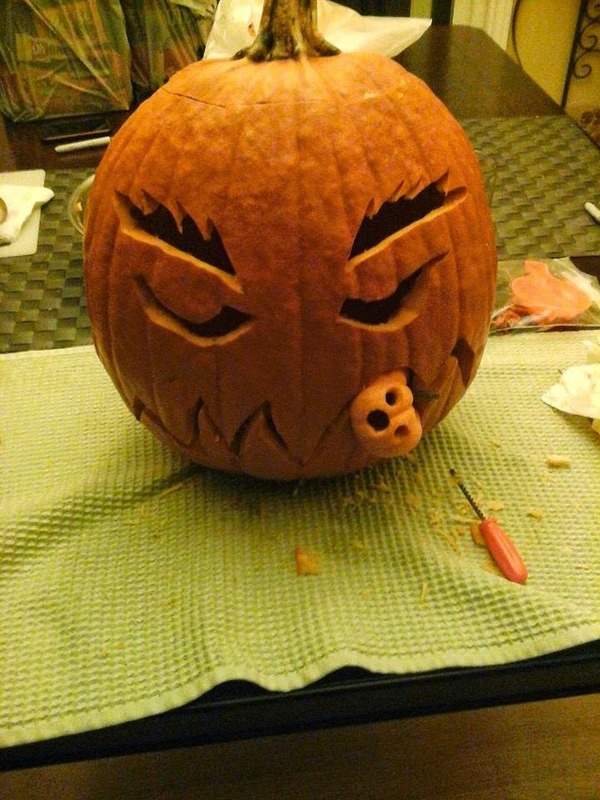 This was last year's pumpkin. 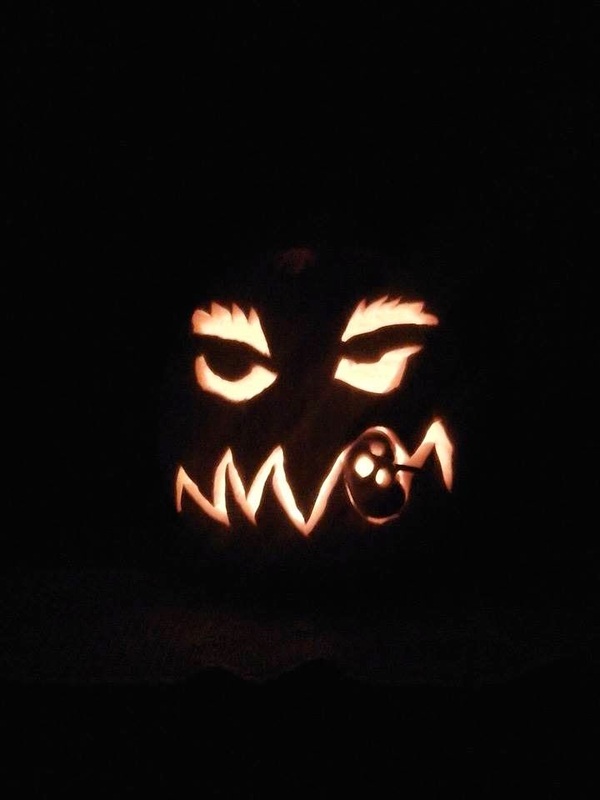 We had a great time carving it! And this is last year's costume. Kiddo was a bug-eyed scientist like from the movie Monsters vs. Aliens and I loved it because he made the costume all on his own! 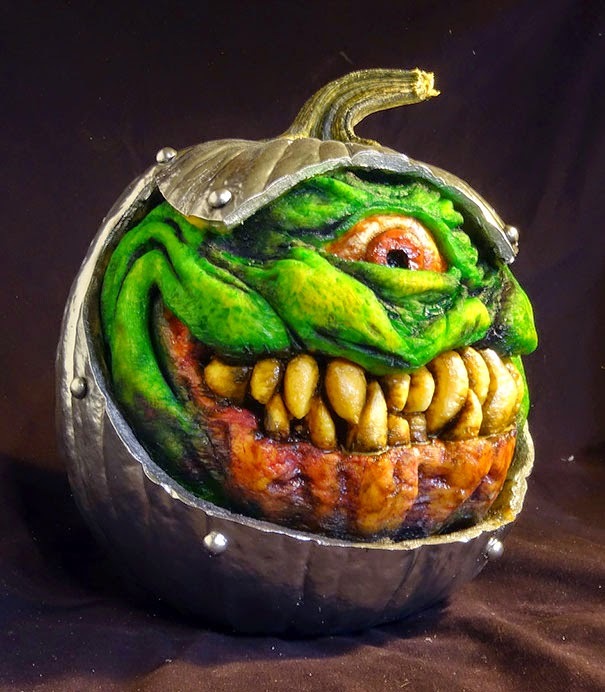 This year we haven't carved our pumpkin yet and we're still looking for ideas. What do you think of these by John Neill?? 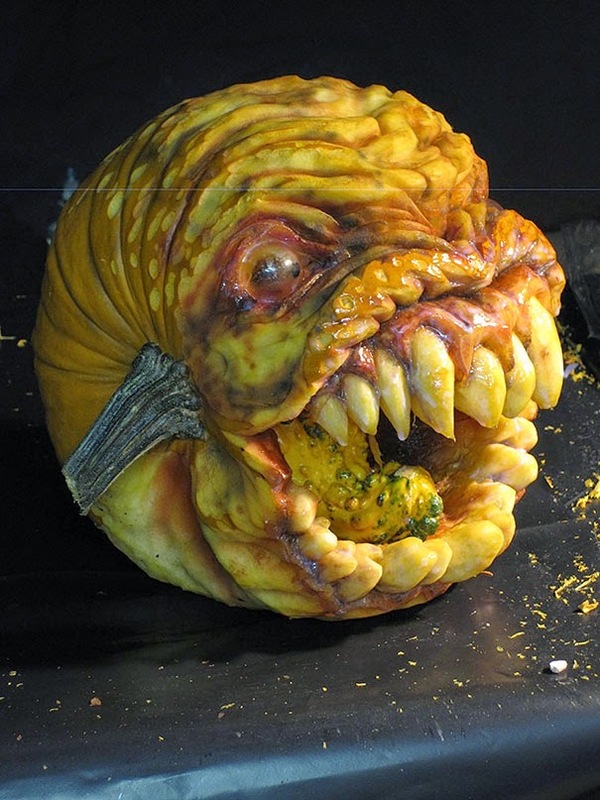 (from http://www.boredpanda.com/creepy-pumpkin-carvings-jon-neill/ ) These are going to be way beyond my artistic ability. In the comments, tell me ... are you a fan of the classic carved pumpkin, or do you like to shake things up? 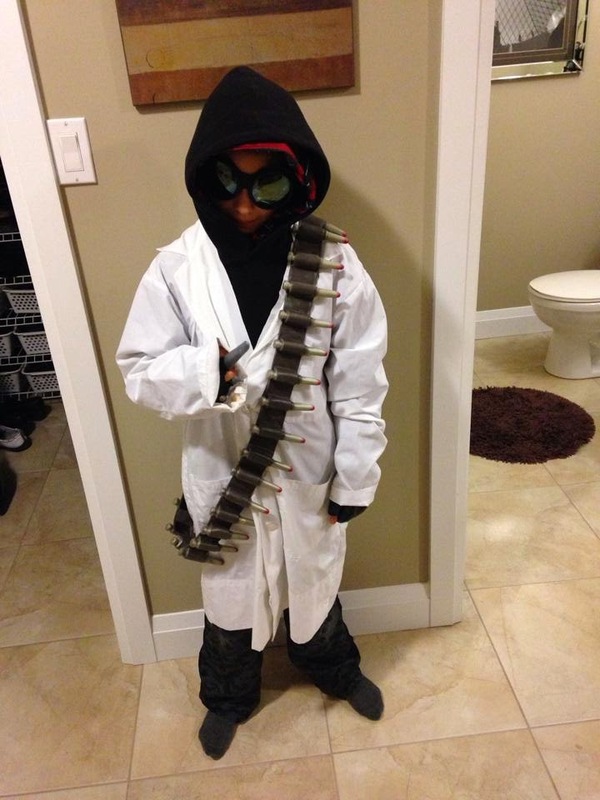 Also, what was the best costume you ever made?? Want more prizes? Visit the other Get Wicked blogs participating in this hop! I am a fan of traditionally carved pumpkins, but mainly that's because I am not artistic at all. Lol. The best costume that I ever made was probably a devil for my son when he was 3. It was so cute! Great pics! Thank you for sharing. The rafflecopter isn't working. It says that it is going to start soon.